A fabulous three bedroom extended semi detached property presented to a very high standard by the current house proud owner. 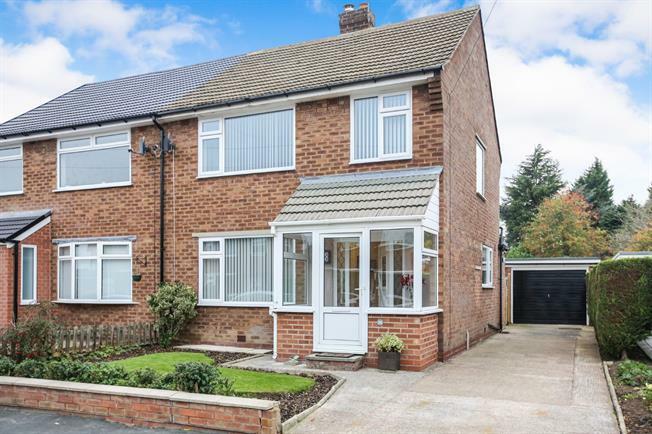 Ideally located for schools and transport links, the property has recently undergone a full refurbishment and must be seen to be appreciated. The property briefly comprises: entrance hallway, spacious lounge, through kitchen/dining room/family room with utility room and access to downstairs WC. To the first floor, there are three good sized bedrooms and the family bathroom. To the front aspect, there is a garden and off road parking. To the rear is a fantastic garden which is approx. 100 foot in length and offers the perfect place to entertain family and friends. There is also a detached garage. An extended three bedroom family home with off road parking and a garage.